Sarah Hanna is the President of Heritage Healthcare Group. With over 20 years of experience she is a nationally recognized speaker and consultant on revenue cycle management, corporate operation and workflow assessment. By helping companies across the United States, she has received national acclaim in the healthcare industry. Sarah has conducted countless training seminars and personal client consultations on proper billing protocols, operational efficiencies and workflow, revenue cycle management, and reporting mechanisms for corporate success. 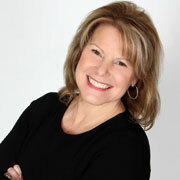 Sarah is a member of HomeCare magazine’s Editorial Advisory Board. 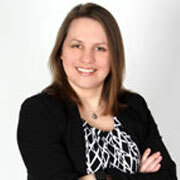 She has written articles for HME News and HomeCare Magazine on reimbursement and operation efficiencies. Sarah is a sought after public speaker. 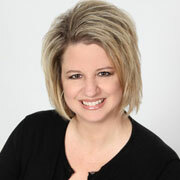 She has been a presenter for AAHomecare and various state and regional conferences including Medtrade Fall and Spring. Her commitment to compliance and integrity led her to take Heritage Healthcare Group through the accreditation process in 2011. By doing so, Heritage Healthcare Group became the only billing and consulting firm in the United States to be accredited. Heritage Healthcare Group is accredited through the Healthcare Quality Association on Accreditation, HQAA. Kit Shellhouse is the Vice President of Operations with Heritage Healthcare Group. She has over 15 years’ experience in business operations management. Kit has conducted numerous training and software webinars along with personal client consultation on business operations and medical documentation process development. Kit has spoken for industry groups throughout the United States and is currently on the OAMES Education Committee. She holds a B.A. in Administrative Business Management and a Master’s Degree in Business Management. Elizabeth Longbrake is the Director of Revenue Cycle Management with Heritage Healthcare Group and has over 9 years of experience in the home medical equipment industry. She directs revenue cycle management and employee training for clients nationwide. She has and continues to conduct numerous consultations, auditing functions and is proficient in over 10 industry software programs. As the market changes Elizabeth continues to handle internal employee audits for competency and compliance, on site Client Consulting, client billing, employee training via telephone, at the client’s site and client chart audits for Medicare compliance review of charts.